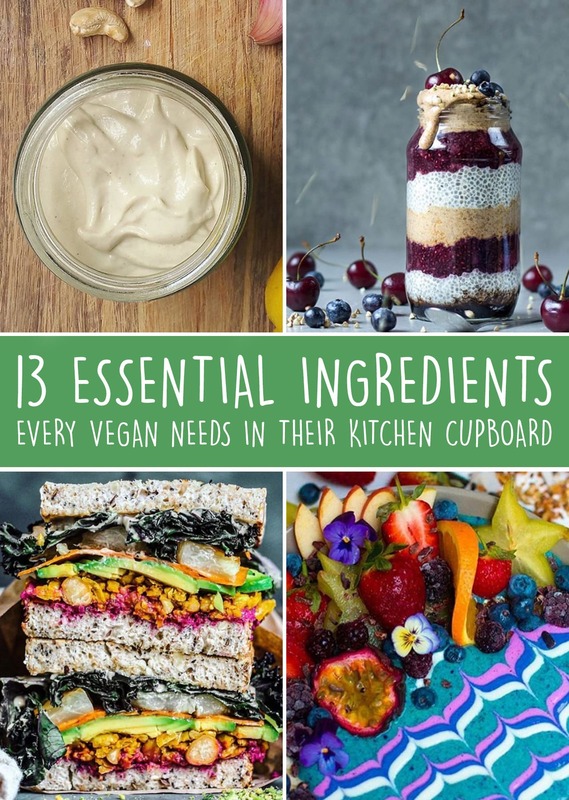 Keep your kitchen cupboard stocked with these must-have vegan ingredients! These tasty spreads, such as almond butter and peanut butter, are an excellent source of protein, fibre, minerals, and healthy fats. Use in baking, add to your smoothies, spread on toast, mix into sauces, use as a dip or even eat straight out of the jar. These creamy nuts are often used as the main ingredient for cheese-based recipes, such as mac ‘n’ cheese, cheesecakes and creamy sauces. Cashews are packed with vitamins, proteins and an abundance of minerals, including calcium, iron and zinc. Nutritional yeast is a deactivated yeast that comes in the form of yellow flakes. Famous for its cheesy flavour, nutritional yeast is the perfect ingredient for vegan cheese recipes, such as mac ‘n’ cheese. Look for brands that are fortified with vitamin B12 for a boost of this important vitamin! Low on the glycemic index and high in many vitamins, minerals, and fibre, using medjool dates is a healthy way to add sweetness to any recipe, such as energy balls (see above). An algae, spirulina is a great pick-me-up when added to drinks and smoothies. A 7g serving gives a whopping 4gs of protein and also contains other nutrients such as amino acids, B vitamins and iron. We love how the bluey-green colour reminds us of the ocean! These nutrient-dense beans are high in protein and minerals, and they’re great in curries, stews, casseroles and salads. They’re also the ideal ingredient for making vegan sausages and burgers. If you’re looking for a gluten-free, protein-rich alternative to flour, grind dry chickpeas to make chickpea flour. Rich in protein and fibre, black beans are great for replicating meaty textures in burgers, meatballs, burritos and stews. For a healthy spin on classic desserts, black beans can also be used in baking recipes such as brownies, cakes, and cookies. To make the signature ‘chia pudding’, add one part chia seeds to four parts vegan milk, and refrigerate overnight. Chia seeds can also be added to many recipes, most notably smoothies, cereal bars, cookies, cakes, pancakes, muffins, and jams. They can also be added to savoury meals such as pizza bases and stews. High in omega 3, protein, fibre, and minerals, these little seeds promote health both inside and outside the body by looking after bones, digestion, and skin. Surprising for some, apple cider vinegar is an important ingredient in vegan baking. When used with baking soda the reaction acts as an egg substitute. But the pairing of apple cider vinegar and baking soda doesn’t end there! You can also combine them to unblock unruly drains. Despite the myth, vegans can also indulge in a cheeky chocolate treat! Dark chocolate with a high cocoa content (70% or above) is usually vegan or vegan milk / white chocolate alternatives can be found at health food stores. You can also make your own by mixing melted coconut oil with cocoa powder and a sweetener. Canned coconut milk has to be one of our favourite cupboard essentials. Pour the contents of the tin directly into soups and curries, or refrigerate the can overnight so the cream and milk separate. You can then use the cream for desserts, such as the cupcakes above, and the milk however you like! This popular breakfast ingredient can be cooked and served warm, or soaked overnight and eaten cold. Rich in minerals and proteins, oats are also great in breads, cakes, granola bars, and pancakes. From porridges to cakes and salads to burgers, buckwheat is an incredibly versatile ingredient for both sweet and savoury recipes. It’s high in protein, fibre and magnesium, and comes in the form of both flour and groats. Hi thanks for this, love your site, wish I had know about it long ago! What is ratio’s for making your own chocolate? Thanks for the Staples for Vegan kitchens. Could you PLEAEESE do the Carb, Protein and Fat content of your recipes?